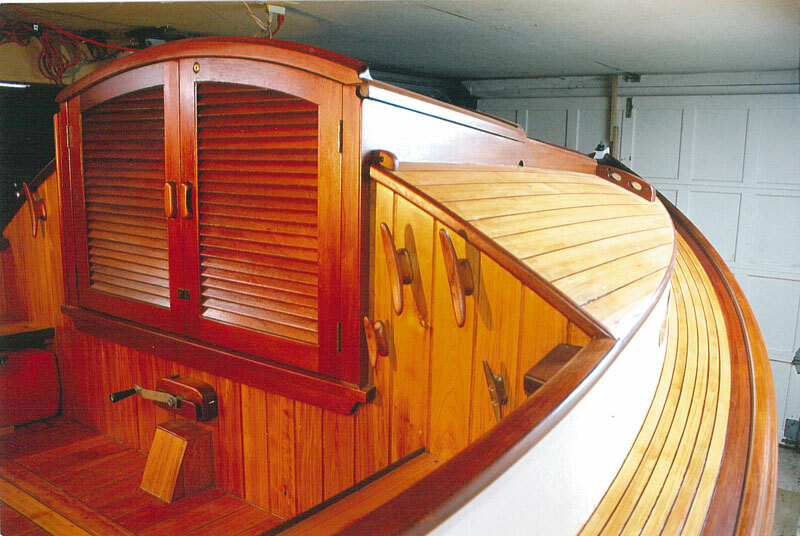 Paul Wagstaff's catboat was two decades in the designing and building. He was attracted to catboats because of their stability and he wanted a boat that could be built in his garage, trailered easily, and could be single-handed. INTERLUDE was built with steam-bent red oak frames planked with white cedar. 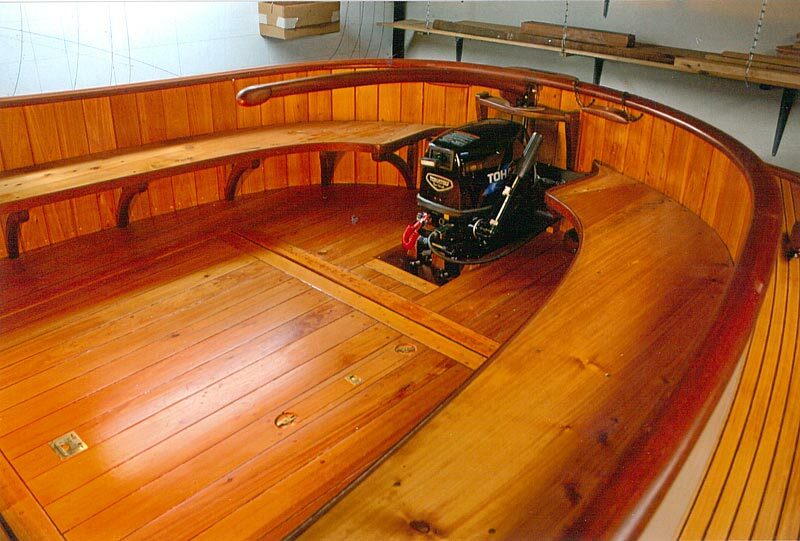 Red oak was also used for the floors and other internal structures while the stem, keel, and transom are white oak. Paul writes, "I enjoyed all phases of the construction, but I think that steam-bending and fitting frames was the most gratifying part of the building process." Because the lake that he will trailer the boat to has no dock to simplify stepping the mast, Paul installed a "braking winch in the forward part of the cabin to [singlehandedly] raise a folding mast" while afloat. All other aspects of rigging can be accomplished from the cockpit.